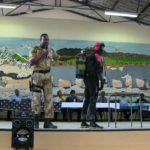 INCIDENTS of violence against children seem to be on the rise in Namibia and in this regard, a special campaign to teach young people self defence techniques and funded in part by the Ohlthaver & List Group of Companies have been launched country wide. 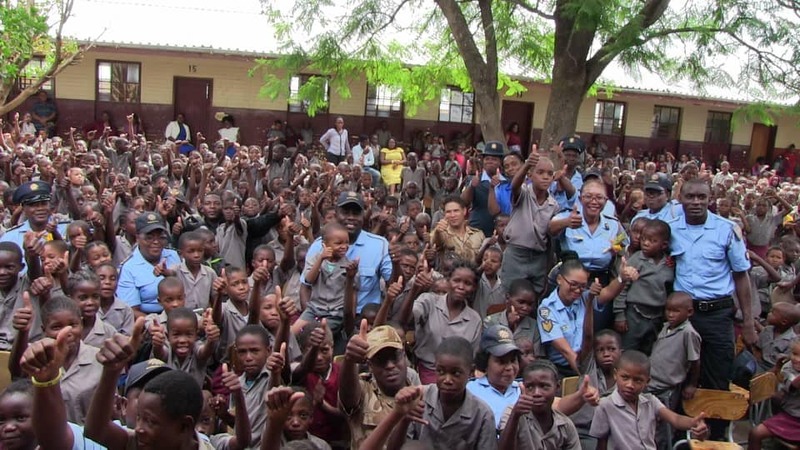 The Namibian Police Force does not want to see any type of violence perpetrated against children and takes the safety of all children in Namibia very serious. 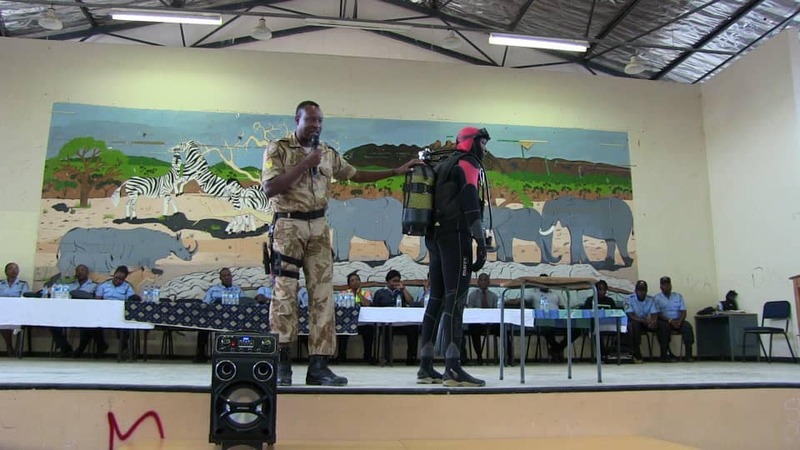 With the launch of the Keep Me Safe campaign the aim is also to disseminate techniques and safety messages to all parents and children in Namibia. Deputy Commissioner Vicky Matjila who is in charge of the Namibian Police’s Crime Prevention Unit said the force with the assistance of the Ohlthaver & List Group have established the ‘Namibian Police Force Children’s Protection Fund’ to assist police in expediting investigations and avail resources pertaining to investigations of a serious nature. The example of the brutal murder of the nine-year-old Avihe Cheryl Ujaha, whose mutilated remains was found dumped in a riverbed at the end of August last year near Katutura. The Namibian Police national crime statistics indicate the following cases on children; 138 murder cases, 511 of common assault and 631 of assault with the intent to do grievous bodily harm from 2014 up to July 2018. Suffice it to say, that this is indeed a grave concern. Therefore, rigorous engagement is essential to prevent such crimes. The UNICEF defines violence against children in accordance with Article 19 of the Convention on the Rights of the Child, which states that it is “All forms of physical or mental violence, injury or abuse, neglect or negligent treatment, maltreatment or exploitation, including sexual abuse, while in the care of parents, legal guardian or any other person who has the care of the child,” noted Matjila. Matjila said in the view of this, it is imperative that police and civil society put the safety of children in their communities first. Violence against children is pervasive. In the past year, an estimated 1 billion children aged 2 to 17 experienced some form of violence worldwide. 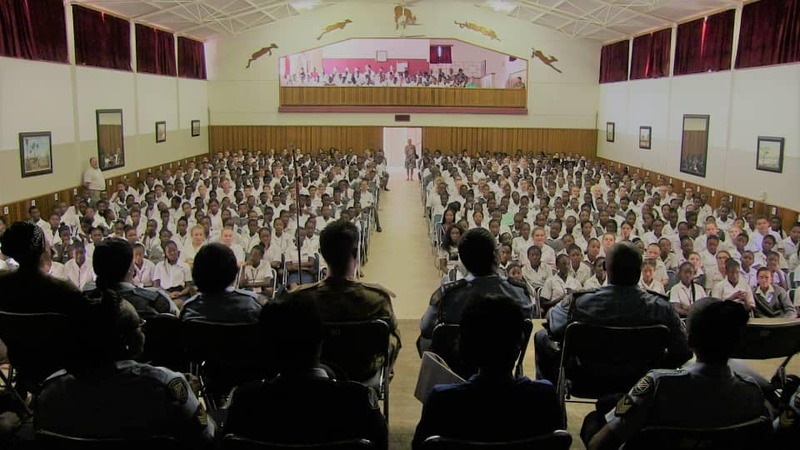 Matjila further noted that the Police decided to embark upon an immediate response campaign with the Keep Me Safe campaign to address issues of violence and all forms of abuse against children by educating learners at schools. In the first phase of the campaign, police will address learners and parents at pre-primary and primary schools whereas phase 2 will focus on high schools. Although they recognize that this immediate and short-term approach will not reduce and address the issues of violence in the country, a more proactive, comprehensive and integrated strategic response will be developed to cover a span of two years countrywide.